Who will you be following for this year’s LPGA tour events? JC Golf pros deliver their best predictions for this year’s exciting tour season. We’re in for an exciting year on the greens around the globe. Who will you pick to be the winners? 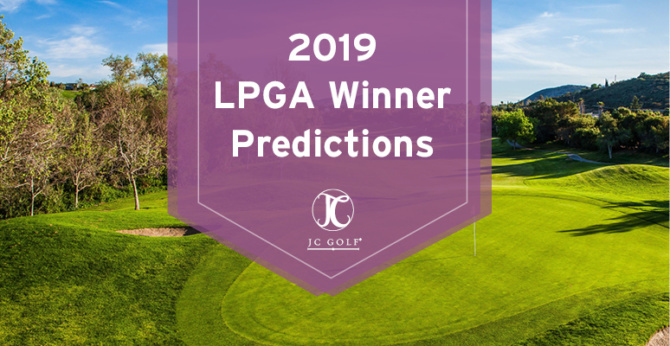 Keep an eye out for JC Golf emails for a chance to submit your predictions for JC Golf’s upcoming Pick The Winner Contest for the Kia Classic! During each major tournament, big prizes for 1st through 5th place are awarded including a JC Players Card membership, rounds of golf and equipment.